Remodelers, builders, and homeowners looking to enhance their next project by adding more curb appeal to the exterior of a home should consider crossheads. Crossheads are large casings that are typically placed at the top of a window, doorway or large entryway. Made of lightweight, yet durable high-density polyurethane, crossheads are easy for anyone to install. Feel free to choose from an amazing selection of sizes and style that will suit your project needs. Need some help pulling this all together? 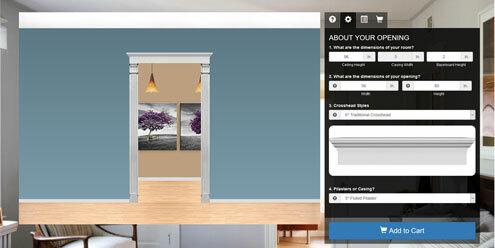 Use our easy to use project designer to show different options you can use to transform your home. How to Measure Download a project measuring guide that will help determine the quantity, size, and style you need. Calculate Sizes & Quantities Not sure of the correct size or quantities you need to order? Click here for helpful calculators.